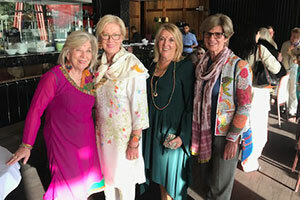 For the second year, Manjits @ The Wharf hosted a magnificent event which included delicious canapes followed by a traditional Indian lunch. A very generous donation was made to our auction by with a beautiful ceramic bowl and painting by Manjit’s wife, Kawal. We were honoured by the presence of Mrs Linda Hurley, our Patron, Wife of the Governor of NSW who graced us with a special song dedicated to Cornucopia followed by engaging all to sing along with her to “You are my sunshine”. We were also entertained by a very talented group of Bollywood dancers who were able to entice our guests to join in as well. A fun day was had by all! On a more serious note, Dr Elisabeth Murphy from the Royal North Shore Child Protection Unit spoke to us again of the difficulties facing the prevention and treatment of child abuse and how much our support is appreciated. Dr Murphy spoke very well and this prompted an offer of three new members to join the committee. 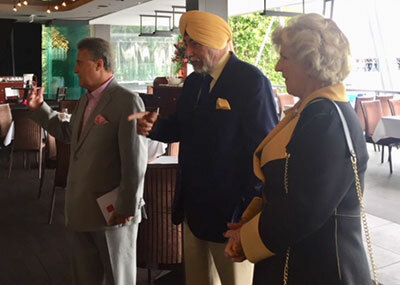 Our President, Mrs Dorothy Ryan thanked our hosts Manjit, Kawal, Deep and Verun, as well as guests and sponsors for their ongoing support.